The Golden Tara is a gold statue of a Hindu-Malayan deity discovered in 1917 in Esperanza, Agusan del Sur, in southern Philippines. 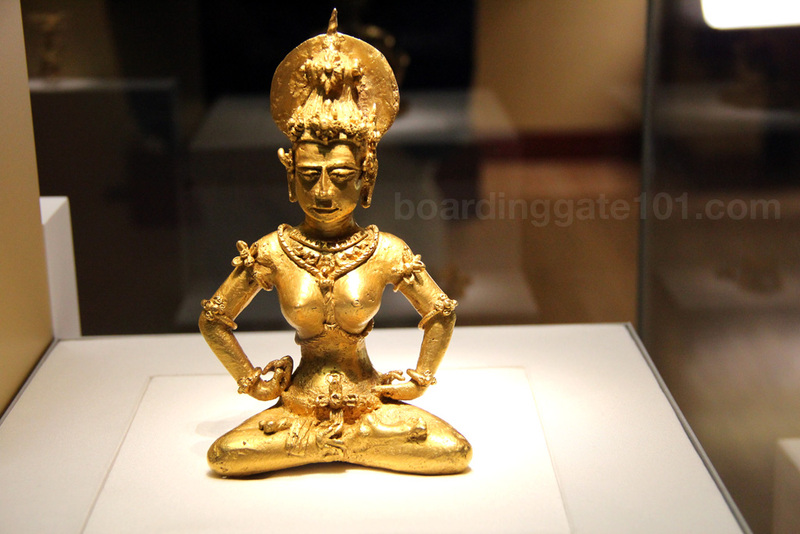 Weighing about four pounds, the 21-karat gold statue depicts a woman deity sitting cross-legged, ornamented with a headdress and various accruements in the arms and legs. 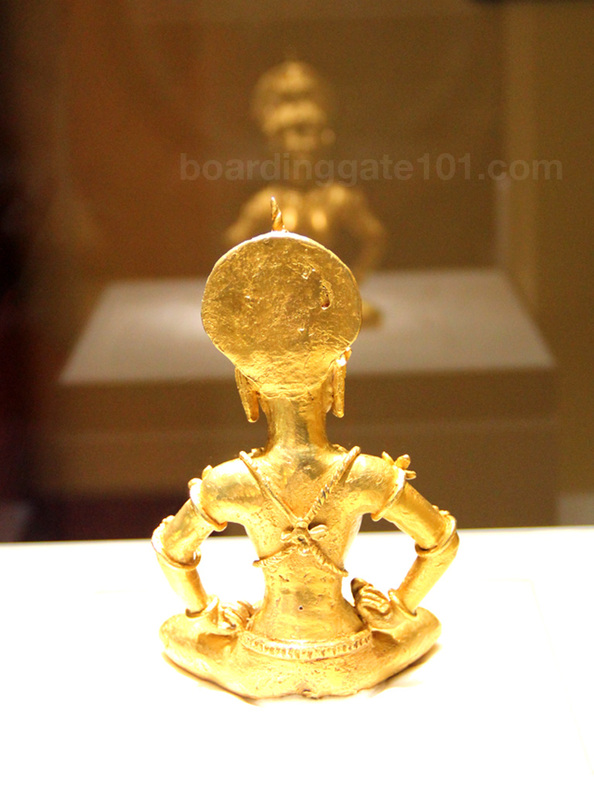 It was dated to early 13th century, and is proof that ancient Filipinos have extensive contact with the Hindu culture way back, and that gold mining was already an industry then [1,2]. Discovered by a Manobo woman, the statue passed from one owner to another, until it was brought to the Field Museum in 1922. The Tara was studied extensively by Henry Otley Beyer, a noted anthropologist and a name familiar to students of Philippine history. Beyer, in fact, founded the Anthropology Department of my university, and he is considered to be the Father of Philippine anthropology . He said to have developed an interest with the Philippines when he visited the 1904 World's Fair, which was held in St. Louis, in the present day Forest Park. 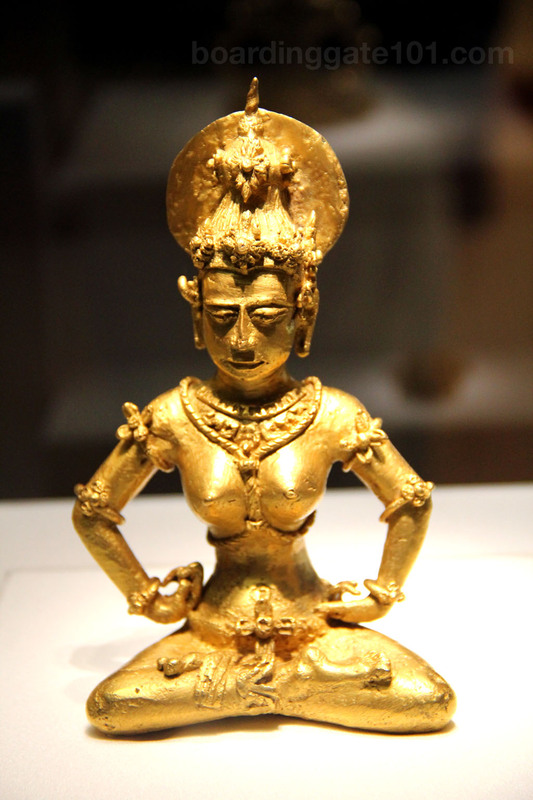 The Golden Tara is now part of the Grainger Halls of Gems exhibit of the Field Museum. 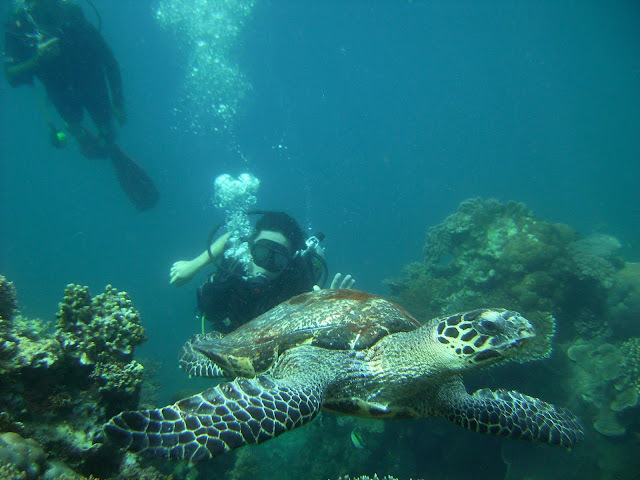 It is described as "one of the most important discoveries in the history of Philippine archaeology," but it is sad to know that one important part of the country's rich history and heritage is in a foreign land. The Field Museum is located in the Museum Campus, on Lake Shore Drive and just a short distance from Lake Michigan. You can take a CTA Bus 146 from Michigan Avenue to get to the museum. If you're coming from elsewhere you may check this link for directions. The museum is open from 8am to 5pm. Basic admission is $15 for adults, $10 for children. Paying $23 would get you a Discovery Pass which gives you access to one of the special featured exhibits, such as the Titans of the Ice Age 3D film exhibition or the feature on the Cave Paintings of Lascaux. 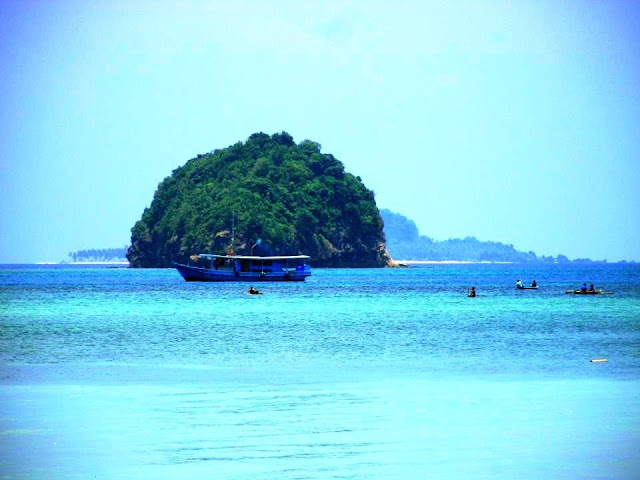 It has long been gone from Butuan. Wow. I saw this featured on Jessica Soho. 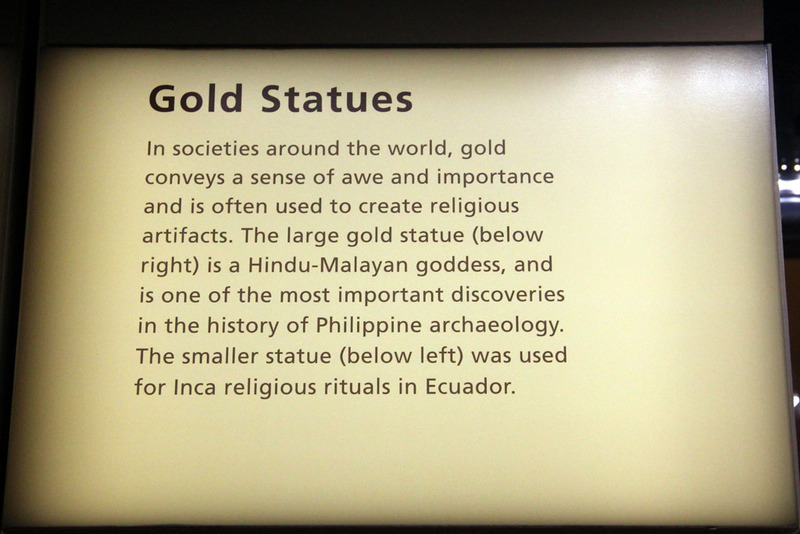 Seeing it on TV made me sad that something extremely significant to Philippine archaeology is in a museum in a foreign land. I wonder how I will react to it seeing it in person.